today, we are going to have a look at three vehicles, that have a relatively high chance of appearing in the European tank tree, because they formed the basis of the Czechoslovak medium tanks. Some of you might remember the Czechoslovak tank tree proposal I posted several months ago. This tree is based on Tuccy’s work – but this is one of the differences. He had these three tanks in the tree, I threw them out, since I wanted to streamline the proposal as much as possible – and small side-branches were never really that much popular. Plus, all three of these vehicles were simply… mediocre. In the game, these vehicles would probably fit in tier 3 (T-21/22) and tier 4 (T-23M). Just a technical note: some people actually confuse the T-23 with the American tank T23 (which was earlier in World of Tanks as tier 8, before it was replaced by the Pershing). These vehicles have obviously nothing in common. Well then, let’s get to it. Škoda T-21 (original designation was Škoda Š-IIc) was Škoda’s contribution to the IIc army category (medium tanks for general use) and a direct competitor to Praga V-8-H (the linked page, tier 4). Basically, what happened: in the early thirties, both Praga and Škoda (main competitiors for the Czechoslovak army contracts, but also when it came to export) had several unsuccessful designs, when it came to infantry support tanks. While the light tanks (LT-35, later the LT-38) were generally good, they just couldn’t get the infantry support right. Namely, the unsuccessful attempts where the Praga P-IIb and Škoda Š-IIb. After that, the both companies basically sat together and made a joint infantry tank project, designated ŠP-IIb. It was unsuccessful for various reasons (it might make a nice Czechoslovak lowtier premium tho, I might get to it at some point too), mostly because both companies weren’t too eager to cooperate with their main competitors. Also, both companies worked on their own private attempts to build a IIb/IIc category prototypes. These private attempts would later become the Praga V-8-H and Škoda T-21. The main design works on the T-21 began as early as September 1936. The first prototype was finished in May 1937 – and so began the long journey of this vehicle and its versions and derivates, that ended only after the war. The first variant from May 1937 was the original Š-IIc. It was supposed to be fitted with a new engine, built especially for it by the automobile factory branch of Škoda in Mladá Boleslav, but the engine development got delayed and the prototype was (in order to save time) fitted with a 190hp 13-liter V6, originally intended for the Š-III breakthrough tank prototype. The prototype was also fitted with a mock weaponry (representing a 47mm gun and 2 machineguns). Basically, it was a disaster. The engine was not powerful enough, overheated and ate a LOT of fuel (even for that time). In September 1937, the V6 engine was removed and the original Škoda engine intended for it. The vehicle however still didn’t do too well (the engine actually seized and had to be scrapped) and the tests were stopped in November, marking the end of the 1st development stage of T-21. 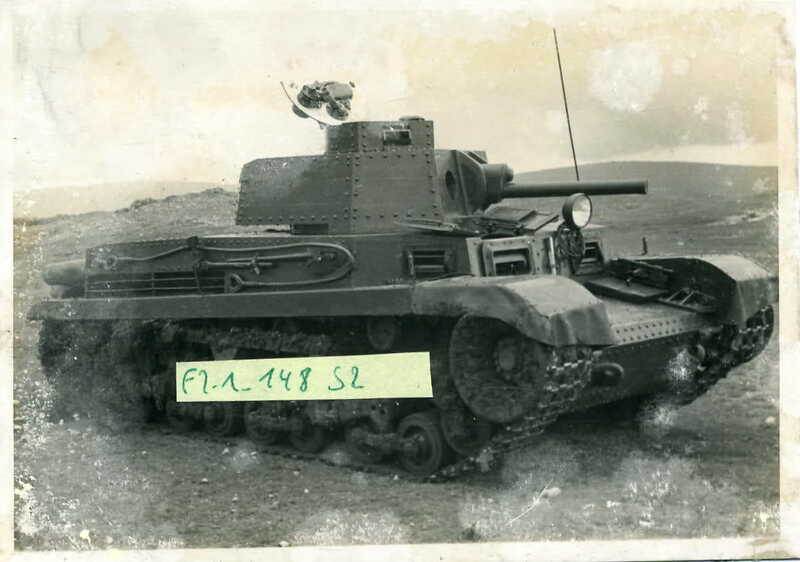 By that time, the Ministry of Defence committee was looking for a suitable Czechoslovak medium tank for the army, but Š-IIc couldn’t make it to the tests – it was being rebuilt throughout the entire winter of 1937-1938, specifically by installing a new engine and real weaponry. Turret and hull were also refitted and modified. The engine was finally installed in March 1938 and the vehicle was sent in May 1938 for army tests in Milovice. This rebuilt prototype wasn’t actually half bad, it performed well – WHEN it was running (that wasn’t often, the vehicle was deemed very unreliable). In the end, there were so many issues with it that it was returned to the factory in Pilsen for yet another refit. In the meanwhile, the (hastily repaired) prototype was presented to the Soviet delegation, but its engine seized again (!) 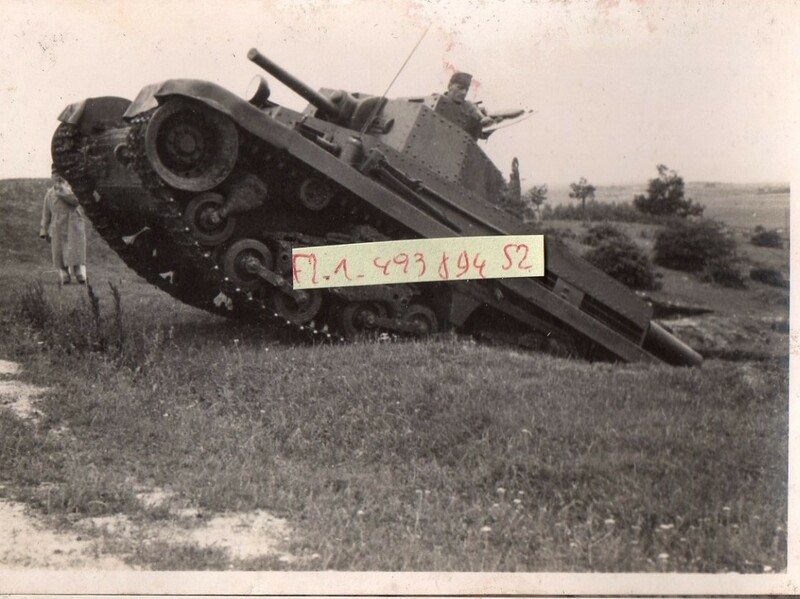 during the trials, causing the vehicle not to make the June 1938 army tests deadline – and that was the end of the T-21 as a potential Czechoslovak army medium tank. From June to November 1938, the prototype was modified further in Pilsen, thus creating a third (and final) variant of the original Š-IIc design (not counting the further modifications, made by Hungarians – the Turán tank is basically a Š-IIc copy, with partial improvements). This third variant had (apart from the fixed engine of the same type the 2nd variant had) better tracks, improved engine cooling, improved oil pump and modified steering mechanism. However, by that time, the Munich treason completely changed the Czechoslovak army’s priorities and selling the (improved) vehicle to the Czechoslovak army was no longer an option. Therefore, Škoda was trying to sell the design abroad. During factory trials, the third prototype performed reasonably well and was basically ready for export. After the occupation of Czechoslovakia, that was of course no longer possible – not without German consent at least. During the early months of occupation, German delegations did visit the Škoda factory and tests were performed with the Š-IIc prototype, which, at that point, on 22.5.1939, was – to fit the German nomenclature principles – renamed to Škoda T-21 (T = tank, 2 = medium, 1 = 1st variant). Germans didn’t show too much interest in it, they wanted to test in in Kummersdorf, but in the end, it was decided by the Germans to produce an improved version, which was named T-22. Since it was not successful in Czechoslovakia, Škoda offered this type for export, both pre-war and in the early war years (under German command). This vehicle was actually offered to Great Britain, Greece, Romania, Lithuania, Russia, Poland, Iran, Iraq, France, Egypt, Afghanistan and Bulgaria, but with little success. After the German occupation, Germans (logically) demanded the vehicle to be offered only to the German-friendly countries. T-21 was actually offered first to Romania, but the Romanians delayed the decision, until they found out the Hungarians (their historical enemies) would license-produce it as Turán I. After that (in January 1941) they quickly demanded 216 T-21 tanks, but the Germans blocked this, because they needed the Škoda capacities for their own vehicles. Hungary – as mentioned before – license-built the T-21. The first contact happened around late 1939. At first the Hungarians wanted to actually buy the Czech-produced vehicles, but Germans blocked that (just like with the Romanians), that’s why the Hungarian interest shifted towards the licensed production. In May 1940, negotiations took place between Škoda and Hungarian government and in June-July, the prototype was tested in Hungary, with reasonable results. Partial changes were demanded, for example replacing the original 47mm gun with the Hungarian 40mm 37M cannon, Hungarian-made radio and Hungarian Gebauer machineguns instead of the original Czechoslovak ones. The license agreement was signed on 14.8.1940, with the license-produced Škoda A17 gun being a part of them. The vehicle was renamed to Turán and served with the Hungarian army until the end of the war. Italy also showed some interest, because the Italian tank production capacities were insufficient, while the Italian army was bleeding in Africa and in the Balkans. On 9.10.1940, Italian delegation came to Pilsen. Italians were very interested in the T-11 and T-21 tanks, but in the end, the last decision was on the Germans. In February 1941, Italians and Germans met in Berlin to discuss this matter. Initial German response was warm and it was decided a prototype would be tested in May 1941 near Rome. The results were somewhat mixed: while the vehicle had good terrain passability and handled well, overheating still was a huge problem. Italians kept on discussing the matter in Pilsen until October 1941, but in the end, the Germans didn’t approve Škoda to produce the vehicles for Italy and that was the end of it. On 13.10.1941, Italy withdrew from the negotiations. Škoda T-22 was introduced on 4.9.1939 as a development variant of the T-21 as a response towards the German demand to produce something better than the T-21. The Germans demanded the prototype by September 1940 and the Waffenprüfamt ordered the vehicle development officially on 2.11.1939. However, by that time the war already took its toll on the German resources and due to various shortages of materials, the prototype was only ready on 1.2.1941. The prototype was not even complete – the turret was replaced with a concrete block to simulate the turret and weaponry weight. It was tested first in the factory and later (in April) it was sent to Kummersdorf, where it actually ran only for 138 kilometers, before – yes, you guessed it – the engine overheated and seized. Needless to say, the Germans were not happy and the vehicle was returned to Pilsen. It returned to Germany in June 1941, when it during one day before the German testing committee ran 403 kilometers on a German highway. Germans were actually impressed and started discussing its production with partial changes (namely increased turret ring diameter, better escape hatches and tropicalisation, which means improved engine and crew compartment cooling system, anti-heat paint overcoat and sealing the internal space against dust and sand particles). This modified vehicle was supposed to be tested by the end of 1941 in Libyan desert. During September 1941, the vehicle was modified according to German demands and further tests were held in Pilsen (with success, the German testing engineers were actually quite fine with it), but then, on 2.10.1941, this prototype was again sent to Kummersdorf. The tests there ended yet again with a disaster: the transmission oil lubrication broke down. That, combined with the changes on African theater, sealed the fate of the tank: the Germans lost interest. They actually ordered the prototype to be scrapped in Spring 1943, but Škoda intervened and the prototype survived – at least for now. Please note that while Turán is also an improved version of T-21, Turán and T-22 are two quite different vehicles. Partially in parallel with the T-22 development, the Czechoslovaks in Škoda Pilsen constructed – purely out of their own initiative, paid by Škoda – a third model, based on T-21 (this time, it wasn’t a reconstruction of the T-22, but a new vehicle from mild steel). There were some significant changes however: namely the pneumatic gear shifting and pneumatic steering mechanism were changed to servo-assisted mechanical ones, which were more reliable and less physically demanding than purely mechanical steering. This vehicle was designed T-23M (“M” as “mechanical”) and was tested for the first time in February 1941. The new steering mechanism proved to be reliable, but the engine seizure issue continued to plague the prototype due to the insufficient engine cooling and repeated oil lubrication system failures. Further problems were discovered on steering brakes. That was the reason, for which the Germans specifically banned the vehicle from taking part in the October 1941 trials with the T-22. Between 1941 and 1942, the T-23M prototype drove over 9000 kilometers in total. All the technical problems were gradually fixed and by 1942, the vehicle actually was actually in perfect shape, all the bugs and flaws fixed. Even the Germans showed some interest at that point. However, in the end, it was the one thing that the engineers couldn’t fix, that doomed this vehicle as well: time. By 1942, the vehicle was – even in perfect shape – quite obsolete and unable to handle the new generation of Soviet vehicles. The work on T-21, T-22 and T-23M prototypes was effectively stopped in September 1943, when most of the Czechoslovak weapons development in Škoda was stopped in order to crank up the production of German-demanded weapons. After that point, very little attention was given to this line of development. Some interest was shown by the Germans in two tank destroyer projects, based on the T-22: VOSS I and VOSS II. VOSS I was basically a 75mm A16-equipped turretless tank destroyer, while VOSS II was to carry a 150mm SIG33 howitzer. Both were made as wooden mockups, but were not further developed. The T-21 and T-23M prototypes survived the war in Pilsen undamaged by the allied bombing. 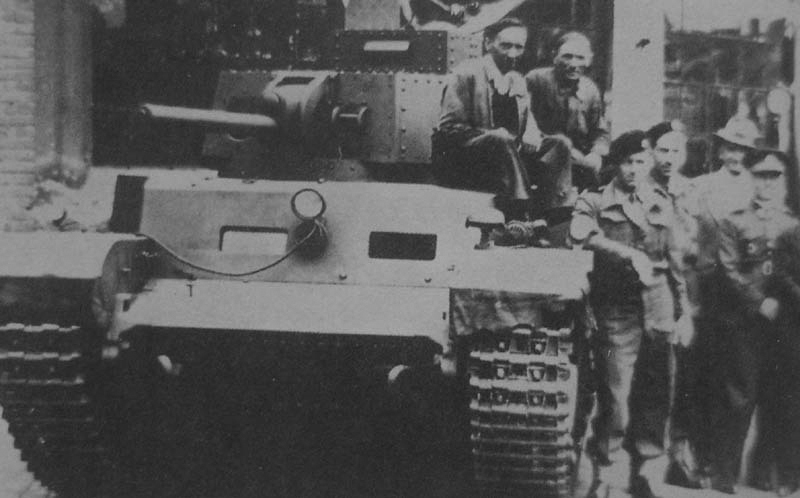 The T-23M was introduced to the Czechoslovak army after the war again, but by then it was totally obsolete (there was a project for a 105mm SPG based on the hull, but that was also scrapped). The prototypes survived until 1948-1949 and were most likely deconstructed and melted down after that. I hope there will be Hungarian tanks too! Turán I, Turán II, Turán III, Toldi, Tas 44M, Zrínyi, Nimród. Do you know something about these vehicles? I saw a tech tree at the start of the year 2013 that contained them. it will probably be in the European tech tree. which contains all nations which don’t have enough tanks to fill a whole tech tree. I will write about them too eventually. They will most likely appear as a part of the EU tree. Thanks for this interesting article, always love to read about those less famous tanks! I realy hope to see them in the EU-Tree in WoT!